This post – a tribute to the beautiful English actress, a lady who has impeccable taste in jewelry. The actress knows and loves wearing jewelry – in all the photographs here she is wearing magnificent necklaces, earrings and bracelets. 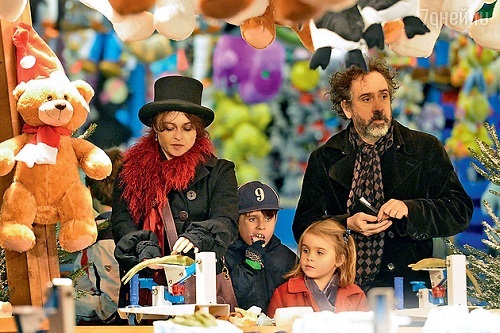 Thirteen-year-old union of American director Tim Burton and British actress Helena Bonham Carter has ended in “friendly parting.” They remain friends and will work together to fulfill their parental responsibilities towards their two children” – a statement made by the press agent of the actress on the eve of Christmas. The incident was called Christmas nightmare by pretty stunned Hollywood crowd. Fans of the eccentric pair in the world grieve for the brilliant creative alliance of Tim and Helena. Burton shot his civil wife in his seven films, and she was rightly called his muse. Last time Helena starred in Burton’s “Dark Shadows” in 2012. Then the actress with her characteristic humor and confidence stated: “Tim seems to be sick of me on the set.” And the director himself admitted that he no longer wants to shoot Helena and needed “new blood.” For inspiration. In October 2013 Burton was noticed with some unknown blonde. The photo spread throughout the tabloids. However, Helena immediately rushed to the defense of Tim. The representative of the actress issued a statement in which she categorically denied her husband’s infidelity. Like, they were at the party together, and leaving the party, Tim kissed and hugged one of the ladies present there. But there’s no smoke without fire, as we know. The following year the pair never appeared together. Once, Helena and Tim were seen at a party in the house of the prime minister of Great Britain, where all the guests were on the invitation of Samantha Cameron. To hide her bad mood and sadness, even for such a great actress was difficult … Why Helena only on Christmas Eve dared to voice a break? In all likelihood, the reason is as old as the world: the actress to the last hoped that Tim would change his mind and with her help – without scenes and screams – will be able to overcome the crisis of men of a certain age, namely those over fifty. But, alas, the expectations were not met. Up to 30, Helena did not even think about her personal life. While she was born in an aristocratic family of a wealthy London banker. Her family tree has not one English peer (and above this title is only person of the royal family) and Spanish Baron (maternal). Her great-grandfather, Herbert Henry Asquith was at one time the British Prime Minister. A father’s cousin Lady Violet Bonham Carter had a reputation for close friend of Churchill. As it happened, the future mother of the actress at a time fell out of reality, to put it simply, aberration. But she was able to recover, and this miracle led her to become a very successful psychotherapist. However, in the process of mastering the intricacies of such a fine profession, she used her daughter Helena for “experiments”. When Helena was 13, her beloved father had been paralyzed, after a failed operation, and the girl together with brothers and sisters helped her mother cope with the disaster. There was no need to care for him – a solid bank account allowed to hire a dozen nurses. But her father – brilliant scholar and lover of life, trapped in a wheelchair, needed moral support and communication very much. At school, where Helena studied, many of her schoolmates were carried away by the theater. And Helena, for whom the mother’s lessons of psychoanalysis were not lost, she realized that the theater will help her cope with the oppressive atmosphere of misery, settled in their home. “Substitution” – that’s what it’s called in the language of professionals. Mother had nothing to say. Helena’s father was very upset, because he dreamed that his daughter with no problems enter the Cambridge University. 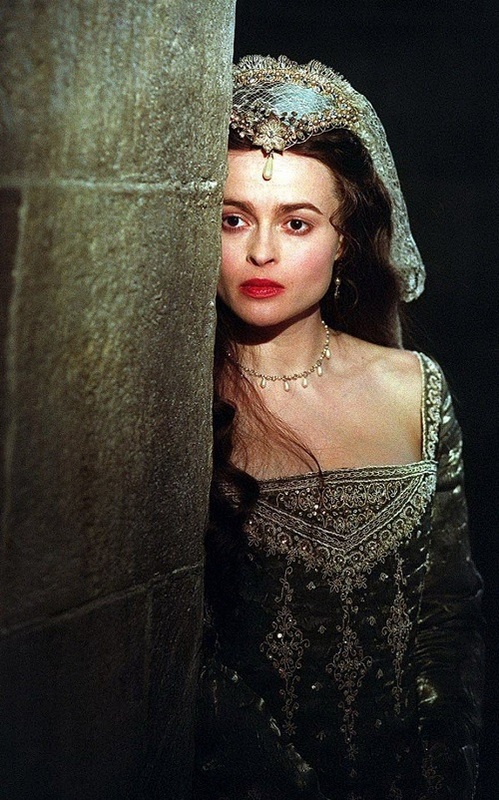 Instead, Helena began to get roles in movies. 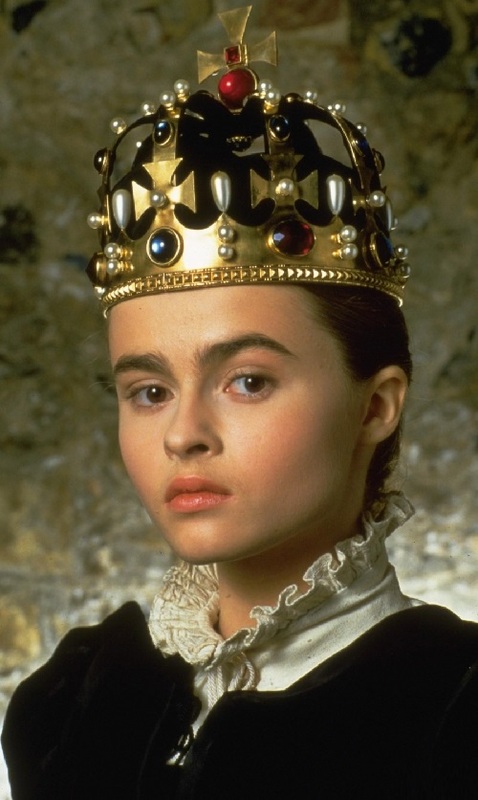 And at 18 years old the first time she played one of her many queens in the film “Lady Jane.” The replacement was a success – the young actress has trumped many historical, “corset” roles, playing the role of heroines of Edwardian and Victorian eras. Once she said: “Now I can only remove a pair of ribs to brace sitting better.” But help came in the face of Hollywood Brad Pitt. He personally persuaded her to star in “Fight Club” – Helena coped with the task too, playing a drug addict. Spectators were struck by frank love scenes with Pitt, and the film became a cult. For the first time in the more than thirty years, Helena decided to buy a separate housing. Although she did not want to leave their parents, where, despite all the troubles, love, understanding, and intelligent conversation with her father were waiting for her. In order not to break away from the roots, she bought a house not far from the parents’ home. It was Kenneth Branagh, the first serious love of the actress, who encouraged her to buy a house. It was rumored that she stole this famous British actor and director from Emma Thompson, his wife. 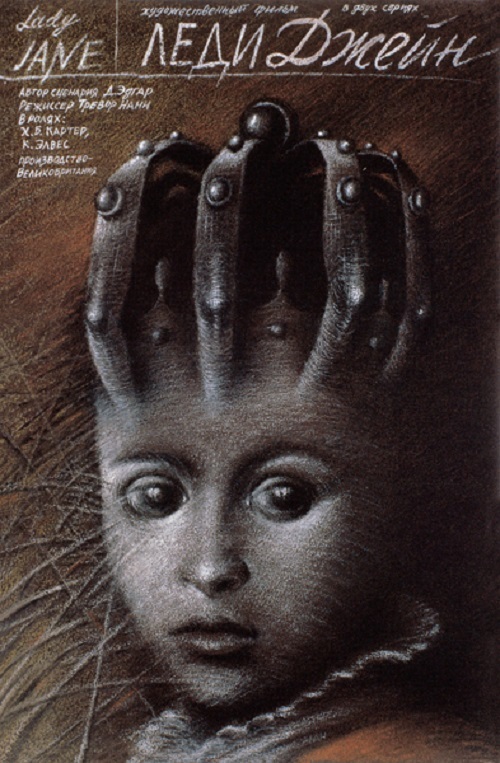 But Helena angrily rejected this version. Because Emma was her close friend, and when Kenneth had his eye on Helena (during the filming of his “Frankenstein”), the relationship with Emma has gone wrong, and they lived separately. Branagh, being loved by the public, especially the female part of it, appeared to be snobbery and tough-minded. He allowed himself make fun of Helena, and her attachment to the parental nest. 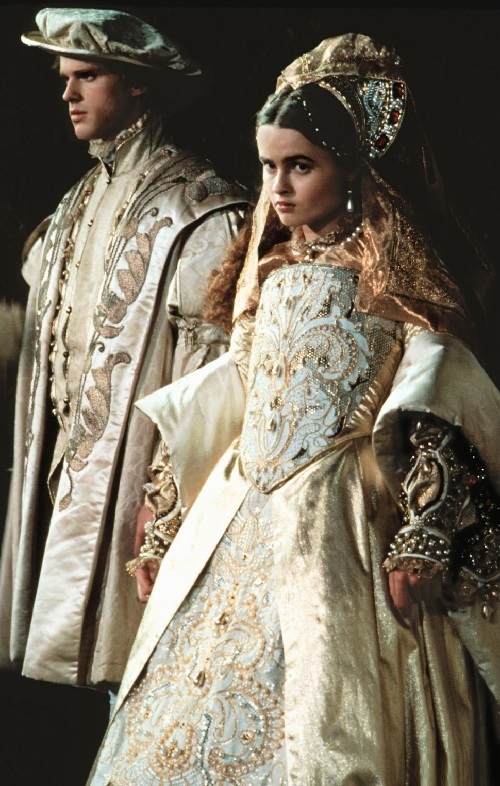 But he couldn’t cope with Helena’s independence, and left his beloved. Helena’s heart was broken. 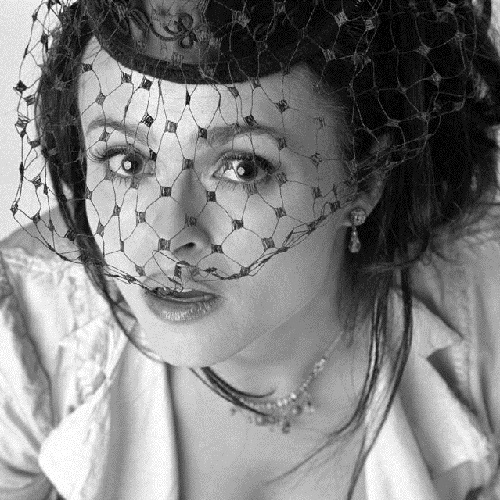 In 2000, Helena was invited to star in the remake of “Planet of the Apes,” the author of the acclaimed “Batman”, by the popular director and rising Hollywood star Tim Burton. Almost on the first day of shooting, Tim told her that no one but she is not seen as a primate. Helena laughed merrily. Fortunately she had a brilliant sense of humor from birth. Many thought Burton to be a little crazy. On the site, he frantically waved his arms, came up with an incredible scene and always had something to draw in a small notebook. Later it turned out that the “Nutty Professor”, as Burton was nicknamed, painted Helena – with the head of frightening proportions … Helena did not believe in madness of Tim. On the contrary, she considered him very practical, ambitious and counting every step man. He was interesting to her, just like her father. Besides, Burton – one of the most talented directors in Hollywood. 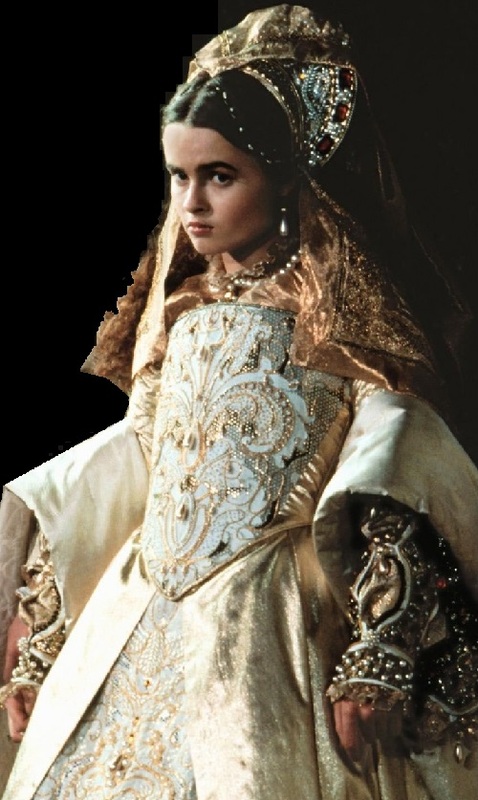 Helena, the British aristocrat did not bother about not knightly origin of Burton. He was born in Los Angeles, his father worked in the management of sports, mum – at the gift shop. The courtship of Tim looked a bit odd, considering that at the set of “Planet of the Apes” worked his then girlfriend and fiancee, actress Lisa Marie. 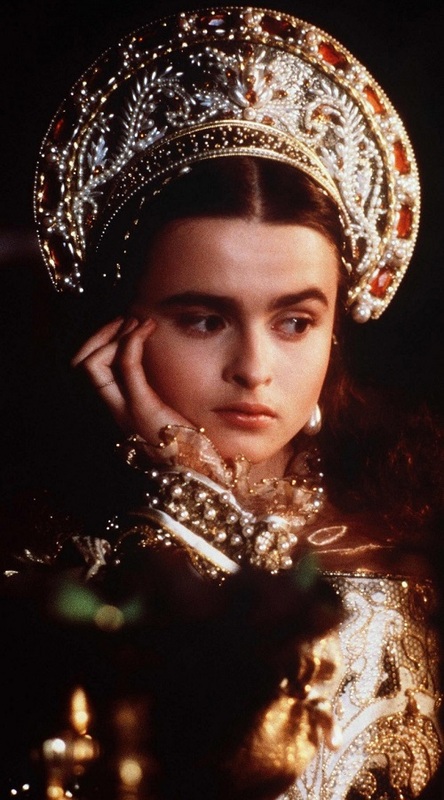 Naturally, Helena Bonham Carter, when it became known about her love affair with the director, was again called “destroyer of marriages.” But in fact their relationship was still limited to a courtship. What love affair, if she spent ten hours per day on her transformation into a monkey! Burton even forced her to attend a special school, where she was trained chimpanzee. Only at the end of shooting, when Tim officially left his bride, their relationship with Helena began to flourish. For the sake of his beloved Burton left sunny California and moved to London, assured Helena that can not live without the rain and fog. He bought a small house next door to her home. And so they lived – Helena in her house, Tim – in his. And when children – a son and a daughter were born, Tim and Helena built them a house, so that the kids could frolic there under the care of a nanny, when parents are busy. The Godfather for Tim’s son became his favorite actor Johnny Depp. In 2011, the couple, who, according to them, were too lazy to get married, asked for permission from the authorities to build an underground tunnel between their houses. This shocked audience even more. Few people doubt – these freaks really found each other. Surely, eccentricity for some time really helped them to maintain interest in each other. At some point, she believed that Tim is able to love her for what she is. And was even pleased to support her reputation as a freak. But what allowed to the man, fashionable director – disheveled hair, funny glasses, sloppy clothes, is not allowed to his wife. Even if she is a brilliant actress. Tim was no longer interested in his wife, neither in an actress nor in a woman. 56-year-old Tim and 48-year-old Helena exhausted their relationship. One can only hope that Helena would be able to imitate her favorite heroine – Alice in Wonderland, who believed that happiness only comes to those who are able to go their own way, even if it seems all wrong, and even insane.